Size: on that pic 115mm X 70mm, but you can ask other size, maximum is 130mm X 80mm. 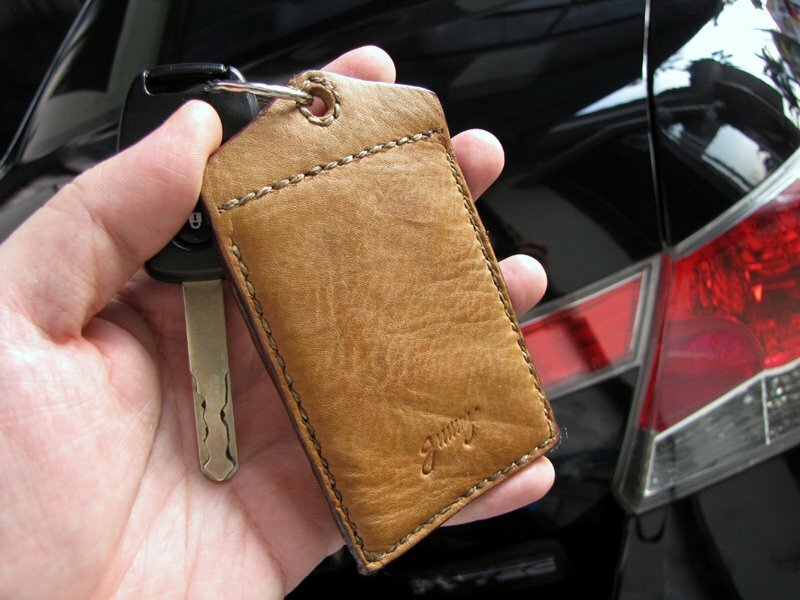 It can hold small document like your car's plate license, with size of the pouch is about 90mm X 63mm. Style: Raw looks, with half burnished rough edges.